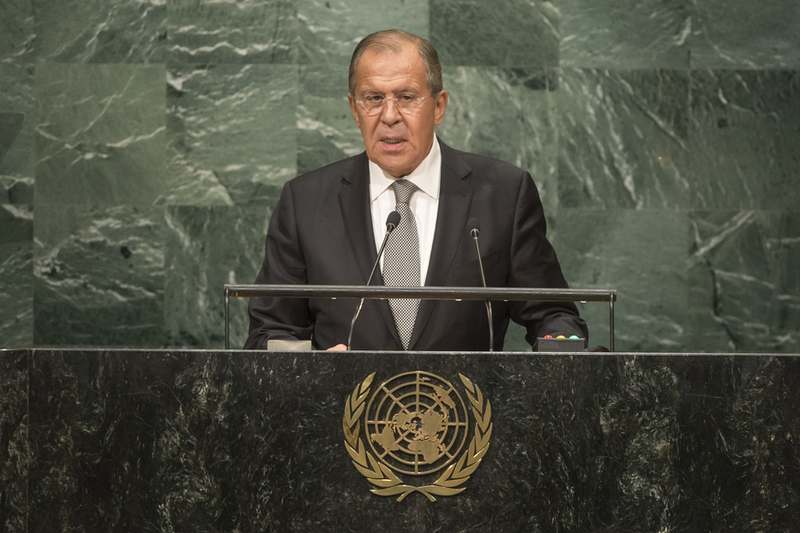 SERGEY V. LAVROV, Minister for Foreign Affairs of the Russian Federation, said that ideas of supremacy persisted in a number of Western countries to the detriment of equitable cooperation. Saying it was “high time” to prevent a catastrophe in Syria, he noted that his country’s military assistance to the Syrian Government had prevented a collapse of statehood. Russian engagement had led to the establishment of the International Syria Support Group, which sought the start of a political process to ensure that Syrians determined their own future, a point embodied in recent agreements between the Russian Federation and the United States. It was essential to carry out an impartial investigation of events in Deir ez-Zor and Aleppo, which had undermined those accords. Elsewhere, Ukraine’s development had been undermined by an anti-constitution coup and the refusal to implement the 2015 Minsk Agreement. Using the crisis to achieve corrupt geopolitical goals had no prospects of success, he said, emphasizing that only implementation of the accord could enable mutually beneficial cooperation. He went on to state that it was indecent to reserve the right to use doping, launch “unilateral adventures”, conduct geopolitical experiments, engage in extraterritorial blackmail or set criteria for national greatness. Freedom of expression or peaceful assembly should not be used to condone Nazi ideology, he said, calling for efforts to block neo-Nazism and revanchism. Joint efforts were required to fight terrorism, he said, adding that his Government was drafting a Council resolution aimed at eliminating terrorist and extremist ideology. Expressing concern about the “torpedoing” of compromises around the establishment of a nuclear-weapon-free zone in the Middle East, he stressed that progress on disarmament must consider factors affecting strategic stability, including the creation of unilateral missile defence systems, the placement of non-nuclear strike weapons and the threat of deploying weapons in outer space. He went on to call upon the Democratic People’s Republic of Korea to abandon its nuclear missile programmes and return to the nuclear non-proliferation regime. On climate change, he said the creation of mechanisms to reduce greenhouse gas emissions was a priority.